This YH-800 type printing machine is a kind of 8 colors flexo printing press with gear driving style. This machine can be used to print product such as film, PE, OPP, BOPP, etc, with Max printing speed of 220m/min. Founded in 2009, Shanghai Pripack Machinery Co., Ltd. has continually focused on providing a wide variety of paper coating machine, case maker, flexo die cutter, folder gluer, laminating machine for customers around the world. We are very familiar with international market of paper cutter, printing machine, flexographic printer, hot foil stamping machine and its trend of development. With high quality assurance, our products are popular in markets including Ukraine, Russia period, Chile, Brazil, Argentina, Mexico, Malawi, Pakistan, South Africa, to name a few. 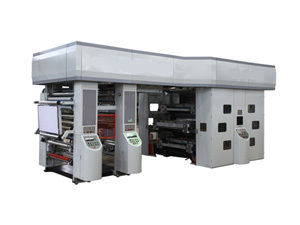 With flexo printing press of high quality assurance and CE certificated, we are sure to provide our customers with the best gear driving printing machine at competitive price. Printing material Film, PE, OPP, BOPP etc.